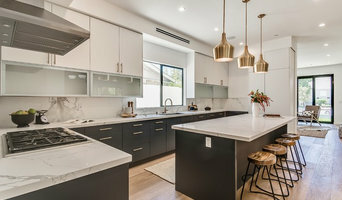 J. Kramer Corp. construction has been in business since 1990 and offers superb custom home building and remodeling in South Orange County, CA and Mammoth Lakes, CA specializing in modern, contemporary, rustic contemporary, and transitional design homes. Home building is an art that must be executed with significant factors in mind, such as timing, craftsmanship, design, logistics and cost effectiveness. J. Kramer Corp. has the experience for achieving each of these factors within the design, engineering, planning and building processes. From the beginning of plan submital procedures and inspections to the final phase of completion, J. Kramer Corp. takes care of every detail. OC Pro Contractors is an experienced group of Orange County contractors who have teamed up to together to offer our customers an outstanding full home service from start to finish. With 20 years of experience our founder, a roof contractor, constantly had customers asking if he knew anyone for other areas home improvement and that is where the idea for OC Pro contractors was born. Our customers can go on our website, find a contractor and feel confident in making the right decision for their home or business needs. Each one of our contractors is extremely skilled in their area of expertise and have had all their credentials verified to ensure quality. The difference between us and many other companies is that this is not a platform for contractors to come on for paid advertisements. We take pride in our company so each one of our contractors is researched and hand selected to give you nothing but the absolute best. We always offer free estimates so give us a call. We have a friendly staff waiting to help you with any of your home or business needs. For La Habra residential home builders who also act as developers, the job starts well before the first nail is driven. They perform local market research to determine whether the prospective homesites make sense in the La Habra, CA market, as well as survey the land on which the house will be built to make sure it is suitable for construction. Custom builders also obtain the necessary permits. 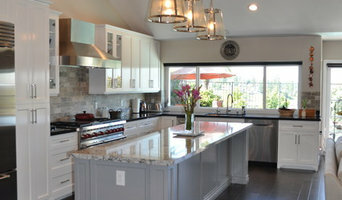 A good custom home builder in La Habra, CA has skills that go far beyond construction — he or she must supervise subcontractors and artisans; keep tabs on local zoning regulations, building codes and other legalities; inspect work for problems along the way; and perform dozens of other roles that are essential in building a quality house. Here are some related professionals and vendors to complement the work of home builders: Interior Designers & Decorators, Landscape Architects & Landscape Designers, Architects & Building Designers, Kitchen & Bath Designers, Specialty Contractors. House builders are responsible for ensuring that the home-building project sticks as closely as possible to the specified timetable, particularly in the event of change orders. Custom and luxury home builders in La Habra, CA also need interpersonal skills to deal with clients of all types, soothe frazzled nerves, negotiate conflicts and resolve problems. 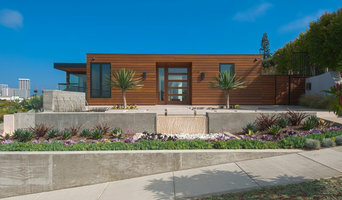 Find custom home builders in La Habra, CA on Houzz. 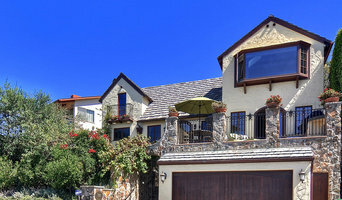 Narrow your search in the Professionals section of the website to La Habra, CA home builders. You can also look through La Habra, CA photos to find a house you like, then contact the builder who worked on it.